Can Pantothenic Acid Supplements Reduce Premature Graying? Pantothenic acid is a vitamin commonly added to hair care products, such as shampoo, condition, and hair vitamins. An example of a line of shampoos that contains pantothenic acid is the Pantene hair care products. The idea that pantothenic acid has benefits for hair started after an experiment with mice showed that mice experienced fading hair color and skin irritation when they didn’t get adequate quantities of pantothenic acid. The idea arose that pantothenic acid not only causes hair color to fade but also contributes to premature graying. Is there any truth to this idea? Is the vitamin pantothenic acid good for hair? What is the Vitamin Pantothenic Acid? 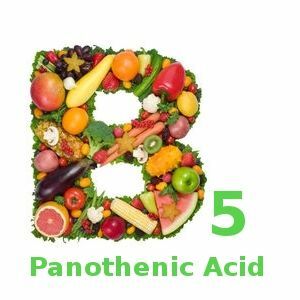 Pantothenic acid is a B vitamin that’s also known as vitamin B5. It’s important for the metabolism of proteins, carbohydrates, and fats, and a deficiency of this vitamin in humans can cause fatigue, hypoglycemia, and a variety of neurological symptoms including peripheral neuropathy. Fortunately, the vitamin pantothenic acid is found in small amounts in many foods (Mushrooms, Chicken Liver, Sun-dried tomatoes, Salmon, Corn, Sunflower seeds, Broccoli, Avocados) and a deficiency of this vitamin is rare. Does the Vitamin Pantothenic Acid Improve the Appearance of Hair? Unfortunately, what works in mice doesn’t always work for humans. The studies that showed that pantothenic acid improved hair color and scalp irritation in mice weren’t successfully replicated in humans. It doesn’t appear that pantothenic acid for hair offers any real benefits – at least according to current studies. Even if it did offer benefits, it’s doubtful that the small amount found in shampoos and conditioners would be effective anyway – even if it were effective topically. There’s also no evidence that pantothenic acid taken internally or from hair care products alters hair color or prevents hair graying. Premature graying has never been shown to be due to a vitamin deficiency with the exception of a B12; and if vitamin B12 levels are normal, taking supplements won’t alter the graying process. Is the Vitamin Pantothenic Acid Good for Other Conditions? There’s some evidence that pantothenic acid helps to treat diabetic ulcers and aids in wound healing. Some studies have also shown it helps with the treatment of acne when taken orally at high doses. Pantothenic Acid for Hair: The Bottom Line? There’s no evidence that taking pantothenic acid as a supplement or using hair care products that contain it will help with premature graying, fading hair color, or scalp irritation. It’s okay to use shampoos and formulas that have pantothenic acid but don’t pay extra for them. Many hair care products contain the vitamin pantothenic acid in the belief it prevents graying, fading hair color, and scalp irritation. Is there any truth to this idea?